Did you know that 92% of Colorado state residents say they would buy more Colorado products if they were identified as being from Colorado? byCOLORADO helps consumers easily and confidently distinguish Colorado products and businesses so they can choose the local option. 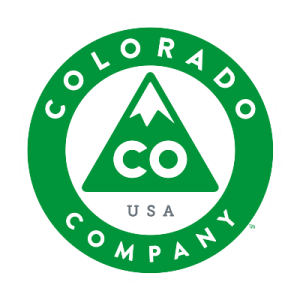 byCOLORADO is a state brand licensing program designed to give Colorado companies the opportunity to tap into Colorado's cachet and strengthen their brands in doing so. byCOLORADO also aims to help boost sales for local companies while building Colorado's reputation as a maker economy around the world. Land Title Guarantee Company is proud to be part of the byCOLORADO program and support other Colorado owned and operated companies. Land Title Guarantee Company is one of the last remaining local title insurance companies in Colorado. When you choose to work with Land Title, you know what you're getting: A genuine Colorado product, produced by Coloradans, for Coloradans. People you know, products you trust. Stability that has withstood the test of time. And a commitment to Colorado that benefits our local economy as well as our local communities. Land Title employees live and work where the title product is produced, and the work is never outsourced to another state or country, so the client gets more knowledgeable service and a more accurate product. Choosing to work with a local business also benefits the local economy and the community as a whole in ways that are not immediately seen. Land Title has supported hundreds of local charities in the last ten years alone. (Visit our Community section to see current projects that Land Title is involved with this year). The next time you have a title order to place, consider keeping it local. Your decision not only impacts our local economy but our communities as well.